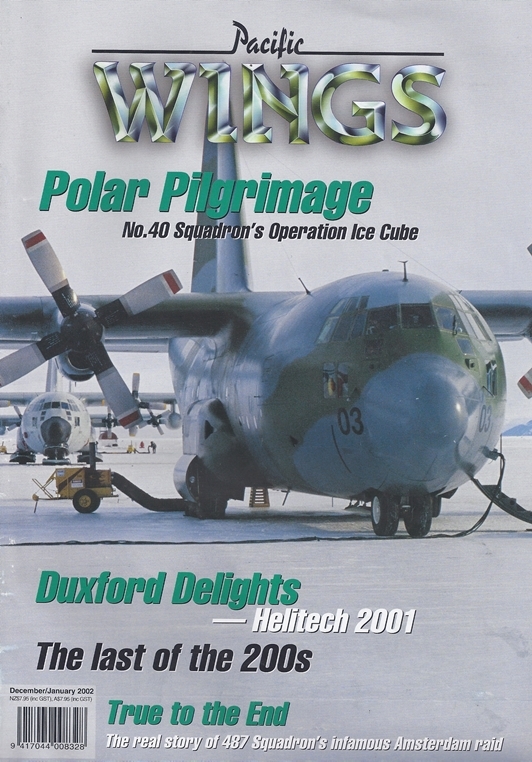 Ten years in the making, Wings correspondent Peter Clark rides along with No.40 Squadron to Antarctica. The Boeing 737-200 retires from Air New Zealand. By Peter Clark. Aviation historian Rev Richard Waugh reveals the ongoing injustice of a tragic New Zealand airline accident 40 years ago. A report on rotary happenings at Helitech 2001 and a glimpse behind the hangar doors at this famous Battle of Britain airfield. By Peter Cooper. This study of the relatively new addition to the New Zealand civil register, ex-South African Harvard, ZK-XSA, owned by the Harvard 7660 Syndicate in Canterbury, was captured at the recent RNZAF Museum sponsored public day at ex-RNZAF Base Wigram.